In mid-June, US President Donald Trump met North Korean ‘Chairman’ Kim Jong Un in Singapore. Kim governs the North as the chairman of the State Affairs Commission, not as president. 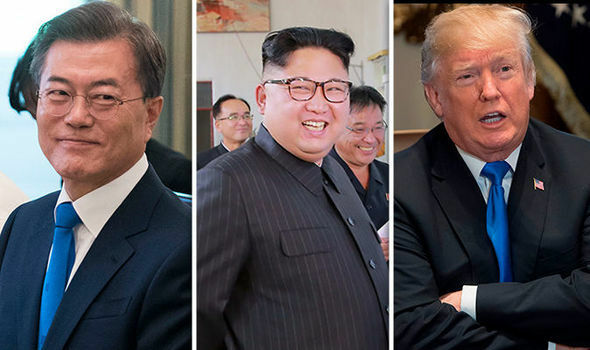 The summit was widely criticized in the United States as an empty photo-op, and there is growing evidence that North Korea is not in fact changing much of its nuclear program in response to the meeting. US Secretary of State Mike Pompeo will travel to the North Korea this year to move the process along. This will be the acid test of whether the Singapore meeting changed the US-North Korea dynamic much. I am skeptical the North Koreans will come around soon; any kind of serious denuclearization will take years and cost an enormous amount of money, because the North Korean program is now so elaborate. But Trump has already declared victory on this problem before the US media and dumped further efforts on Pompeo. So the most likely practical outcome of the Singapore summit is the recession of the Americans from the peace process and its further piloting by the South Koreans, particularly President Moon Jae In. As South Korea’s ally, the US had to be involved somehow, but Trump seems to have moved on, and his interest and knowledge of the relevant questions is thin. In effect then, Moon will run this détente going forward with few American constraints given how vague was the Singapore statement. The summit declaration – so named for the small island in Singapore where the two leaders met – has four elements. One is the return of remains of US soldiers from the Korean War. This, while morally important for the families, is not a strategic issue and was appended late by Trump, likely to appeal to his conservative voters. Point a) sounds like a market opening of North Korea. Trump showed a curious faux movie trailer to Kim pitching exactly that. China has similarly argued to the North for two decades that it should embark on a controlled liberalization of its economy, as Beijing did after Mao Zedong’s death. The hope is that a perestroika of the Northern economy along Chinese or Vietnamese lines would, at minimum, improve human, especially food, security in the North. The man-made famine in the North of the late 1990s killed around 10% of the population. A perestroika might also bring mild political liberalization too, moderating the worst, most orwellian aspects of North Korea. Point b) likely hints at a formal peace treaty to end the Korean War. The two Koreas and the US are legally still at war. The current peace is technically an armistice stretching all the way back to mid-1953. North Korea particularly has long sought a treaty for the normalization and recognition of the North which it implies. North and South Korea make competing legitimacy claims against each other to be the ‘real’ Korea. In practical terms however, South Korea has long since won the inter-Korean cold war competition. North Korea now fears absorption along East German lines, and a peace treaty which recognizes North Korea as a distinct Korean state alongside the South is a long-standing goal. A ‘peace regime’ is a vaguer dictional choice throw around by proponents who fear a formal treaty will be too difficult to get past hawkish opposition in Seoul and Washington. The Moon government occasionally talks this way too. It is not clear what such a regime would be – perhaps UN monitoring of a demobilization along the demilitarized zone (DMZ)? Point c) is a part of the complete, verifiable, irreversible denuclearization (CVID) mantra which the Trump and Moon administrations have pushed all year. CVID seek to remove all elements of North Korea’s nuclear (and, likely, missile) program in such a way that would make it both impossible to restart and verifiably terminated. This is, of course, a tremendous concession to demand of North Korea, and few North Korea analysts believe that Pyongyang would ever accept this. Or if it did, it would demand such extraordinary concessions – such as the cessation of the US-South Korea alliance – that the US and South Korea would likely never accept. Hence it was not a surprise that Trump was unable to get the “V” and “I” of CVID in the declaration. Pompeo has since been asked about this and responded that these were ‘understood’ as part of the declaration. That is almost certainly not correct and more a political than empirical claim. There are two main lines of concern with the statement Trump brought back. First, it is akin to previous statements on denuclearization which the North Koreans have signed with the US, South Korea, and other parties. As far back as 1993, North Korea and the US singed a joint statement on the denuclearization of the Korean peninsula. The North has also agreed to such statements as a part of the ‘Sunshine Policy’ – an inter-Korean détente process from 1998-2007 under previous liberal South Korean presidents – and the Six Party Talks – a George W. Bush administration-era outreach effort which included the Koreas, China, Japan, the US, and Russia. Pulling yet another generic denuclearization statement out of the North Koreans this time around is not really an achievement. Trump worsened this problem with his particular brand of hyperbole and overstatement. In the months running up to the summit, he and his administration talked about a huge breakthrough in US relations with the North, CVID, a peace treaty, a Noble Peace Prize, and so on. Since Trump returned to the US, he has claimed on Twitter and in Trumpist media that the threat is over, that he has great chemistry with Kim, and that Americans should treat him as North Koreans treat Kim, and so on. Expectations were poorly managed, creating an enormous disjuncture between what Trump appears to believe he has accomplished, and what the North Koreans did in fact agree to in Sentosa. Second, the statement contains no action items, timeline, or detail. In that sense too, it does not move the process past previous statements. The statement says denuclearization is to begin ‘expeditiously.’ Pompeo has talked of serious movement in the next two to four month, or in the next two years. Both of those timelines conveniently fit the US electoral calendar. The North Koreans are highly unlikely to be so obliging. In past negotiations, they have dragged their feet, asked for huge concessions and side-payments, and insisted on synchronous steps from the US and South Korea. They are likely to do so again. It is easy to foresee, for example, the North asking for billions of dollars in ‘decommissioning funding,’ which could be political difficult for Trump given his criticism that former President Barack Obama paid Iran as part of the Joint Comprehensive Plan of Action. The US might then try to push those costs onto China, Japan, and South Korea, as it did in a similar effort in the 1990s. All this would be time-consuming and contentious as US partners would resent this treatment. Another thorny example is the “V” and “I” in CVID. Verifiability will be high bar, because the US and South Korea would likely demand inspectors and cameras. The North will likely fight that as violations of its sovereignty, much as Saddam Hussein did in the 1990s. There will likely also be a sharp conflict over which inspectors. The North will demand them from sympathetic nuclear states like China or Pakistan. The US, Japan, and South Korea will push for the International Atomic Energy Agency or more sympathetic nuclear states like France or Britain. Irreversibility will be even harder. The nuclear and missile programs are now mature. North Korea has the relevant human capital now. Facilities could be destroyed, but what about the technicians themselves who could reconstitute the programs later? Would those individuals, potentially thousands of scientists and their families, be allowed to leave the country? This would be extraordinarily contentious. These are just a few of the many thorny issues likely arise. They will likely require years to hammer out. The above critiques of Sentosa point to the issues most important to the US and South Korea. Broadly, we are seeking two kinds of concessions: political and strategic. That Trump brought home neither is the grounds for dismissing Singapore as an enormous missed opportunity. Political concessions are the most important. The most fundamental reason why North Korean nuclear weapons worry so many is the nature of the regime. North Korea is the closest to George Orwell’s 1984 the world has ever seen. Its gulags have been compared to Nazi Germany in the most definitive human rights portrait of the country. Its personality cult is more servile than Stalin or Mao’s. It has engaged in gangster and terrorist behavior for decades – dealing methamphetamines, murdering its critics overseas, attacking South Korean vessels, and so on. Were the North Koreas to close a gulag, initiate even a bit of liberalization at the bottom, or even pass a genuine commercial law to protect foreign investment in the North, the country’s most hawkish critics would relent. Trump however dismissed human rights at Singapore. There are some hints that Kim himself may want some kind of economic opening, which could in turn soften the regime’s harshest edges. But even if this is true, there is no evidence that anyone around Kim on the State Affairs Commission wants this liberalization. If North Korea is not going to change, if it intends to remain the orwellian Democratic People’s Republic Korea, then US and allied goals switch to the strategic – nuclear weapons, missiles, biological and chemical weapons, force deployments of the North Korea military near the DMZ, particularly Seoul, and so on. Pompeo and Moon will likely push for movement on these issues in the months to come. Without some progress, hawks will decry that détente is becoming appeasement. Moon is a liberal who is likely comfortable giving the North pretty serious concessions on strategic questions. But he was only elected with 41% of the vote. South Korea remains politically deeply divided over how to respond to North Korea. If this year’s détente is to survive the next partisan transition in the South Korean presidency, then Moon will have to claw out enough concessions to somewhat placate the South Korean right. Trump is in a similar bind. Neoconservatives in the US will be looking for these sorts of concessions in the coming months with limited patience. Lindsey Graham, the hawkish US senator, has already said that war will be an option once again, after last year’s war crisis, if the North Koreans do not meaningfully disarm. The North is currently flirting with an artillery pullback. This is progress, but ultimately the US and South Korea are going to demand concessions on nuclear weapons and missiles. One starting point would simply be a stockpile inventory – how many warheads do they have? (Guesses hover around fifty.) How many missiles do they have? (Hundreds?) How may kilograms of plutonium and highly enriched uranium? (Hundreds?) A basic worksheet on these questions from the North Korea would relieve a lot hawkish anxiety – there would be less pressure to strike if exaggerated estimates are corrected. It is another disappointment of the Singapore meeting that Trump could not even pull something this basic out of Kim. The Singapore summit did not return much unfortunately. Trump got only another pro forma denuclearization agreement from the North along the lines of many it has signed in the past. This would have been easier to swallow if Trump had not hyped the event so much. But on the issues which really matter – political concessions on human rights, e.g., or strategic concessions such as a missile count – this year’s détente has still not advanced much. To date there has been much pageantry and symbolism: Moon had his own summit with Kim in April, and it was similarly theatrical but thin on detail. The challenge going forward is to pull costly concessions from North Korea, ideally for as little from the democratic camp as possible. But realistically, the North Koreans will not give away another serious for little. They have been tenacious bargainers in the past. The allies should expect to have to make costly concessions too. Allied concessions could include sanctions relief and aid most obviously. The North Koreans have complained about the sanctions for years. The North is not autarkic despite its ideology. It needs access to the world economy, and banking system particularly, to finance needed inputs. Similarly, North Korea is poor and its economy fairly dysfunctional. South Korea has given it direct aid transfers in the past. Seoul could resume those. More serious concessions would involve US forces in Korea. The North Koreans fear US airpower, so US air wings could be withdrawn to Okinawa or Guam; US troop totals on the peninsular might also be reduced. The exact mix of these elements, and Northern reciprocal concessions, has scarcely been broached yet in the media unfortunately. CVID has absorbed much attention, but it should be noted that the North is highly unlikely to go to zero on warheads and missiles. Pyongyang spent fifty years developing these weapons; they provide a powerful deterrent against US-led regime change. The allies must need to grasp that CVID will almost certainly not happen and start thinking about a mixed package deal of concessions and counter-concessions. All this falls to Moon now. Trump is little interested in the details of a North Korean deal. By his own admission, he did not prepare for Singapore, and he has dropped it since his return, after a few celebratory tweets. Moon has thought about these questions for decades. He is popular and has a majority in the parliament. With Trump self-sidelined, Moon now has the political space to push for a major deal. If he can pull enough strategic concessions out of Kim to placate hawks in Seoul and Washington, he has a chance to break the long stalemate. This entry was posted in Arms Control, Detente, Korea (North), Korea (South), Trump, United States by Robert E Kelly. Bookmark the permalink. Trump is treating this deal like a real estate construction project. President Moon Jae-In is the project manager & stake holders are Supreme Dear Divine Leader Kim Jong Un & spy chief Kim Yong Chol. Everybody will be happy when project is done on time & under budget. Trump is getting impatient & angry with the stake holders.